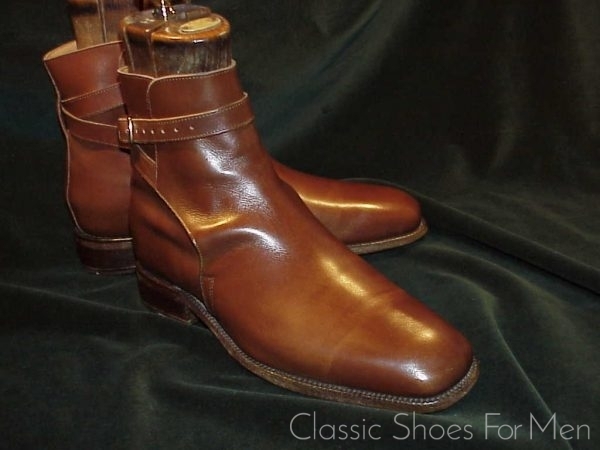 With its absolutely traditional design, this 360 degree Goodyear welted Jodhpur boot by the Mack James firm, cleaves to the classic English lines proven good by time. 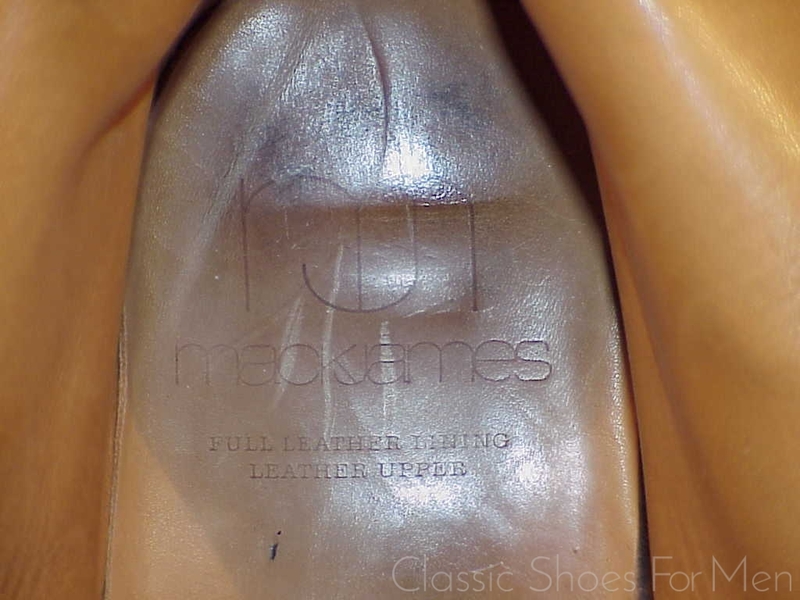 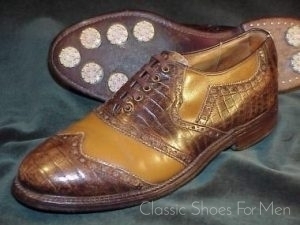 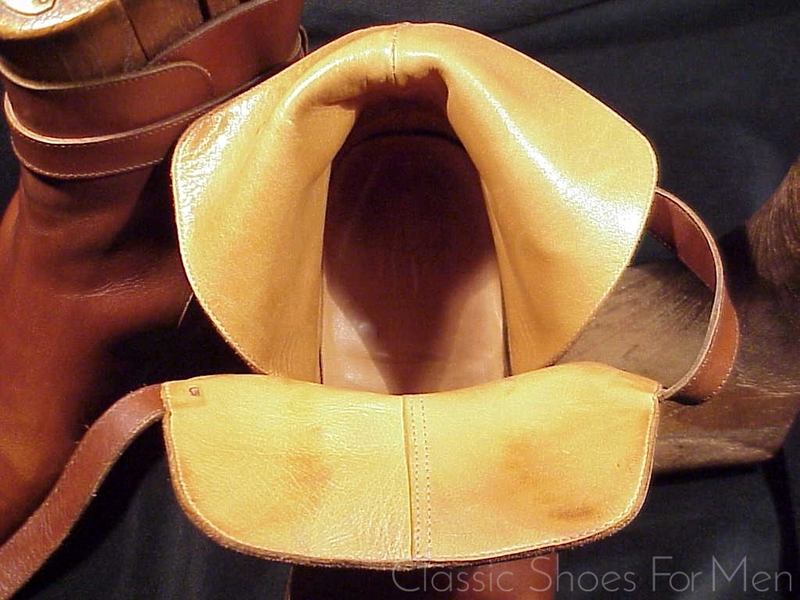 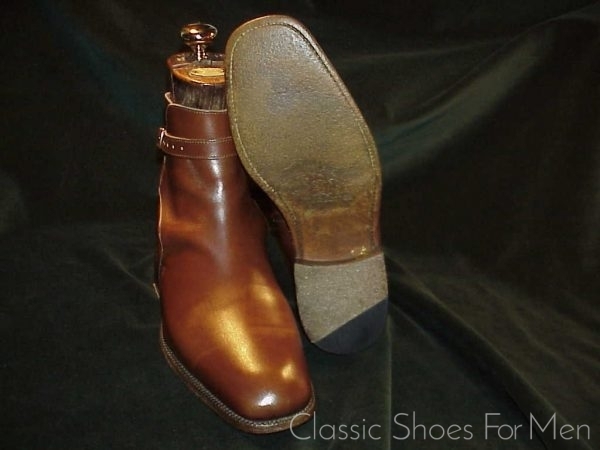 The James Mack firm produces a variety of products at different prices destined for different markets but this excellent boot is from their premiere Goodyear welted line, sold under different brand names at high prices…..but this is the original! 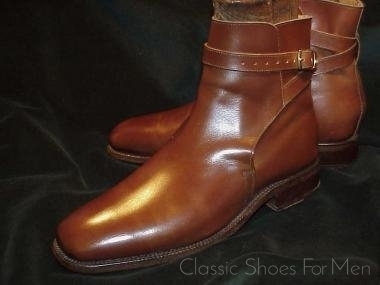 The Jodhpur boot in general has become one of my personal favorites as it looks so well under trousers and provides the stability that few other shoes offer. 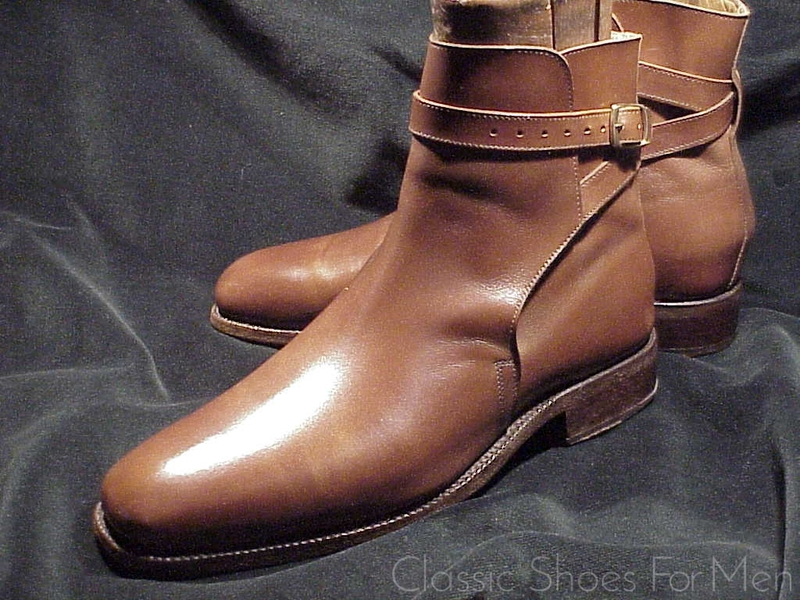 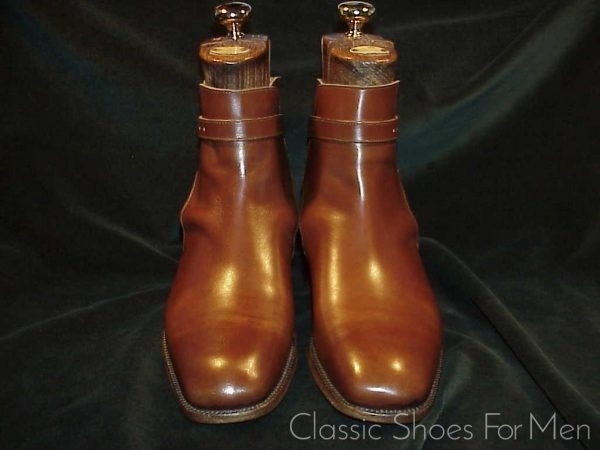 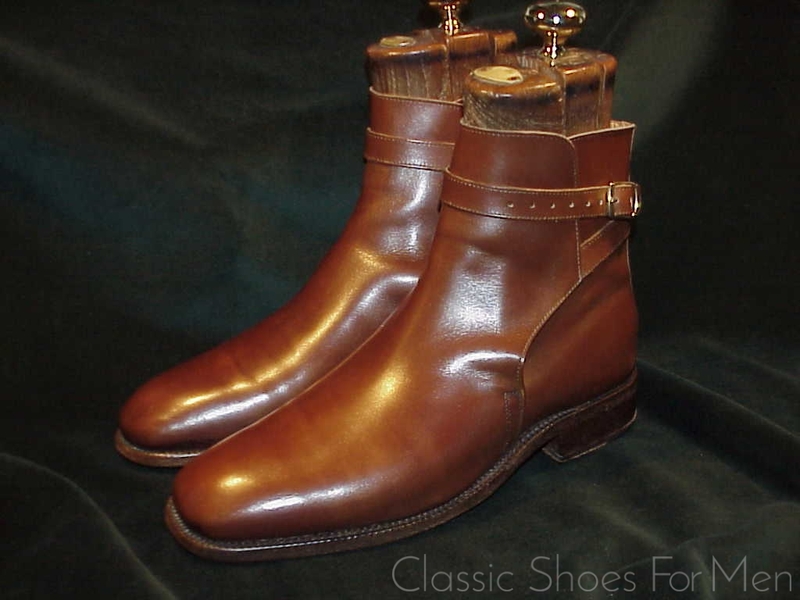 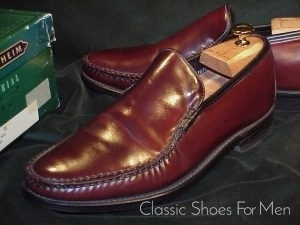 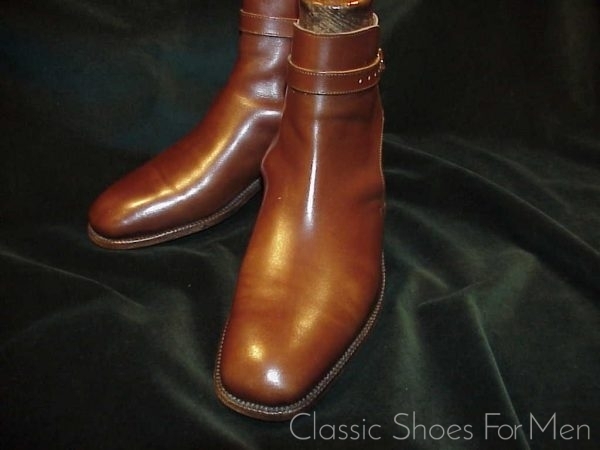 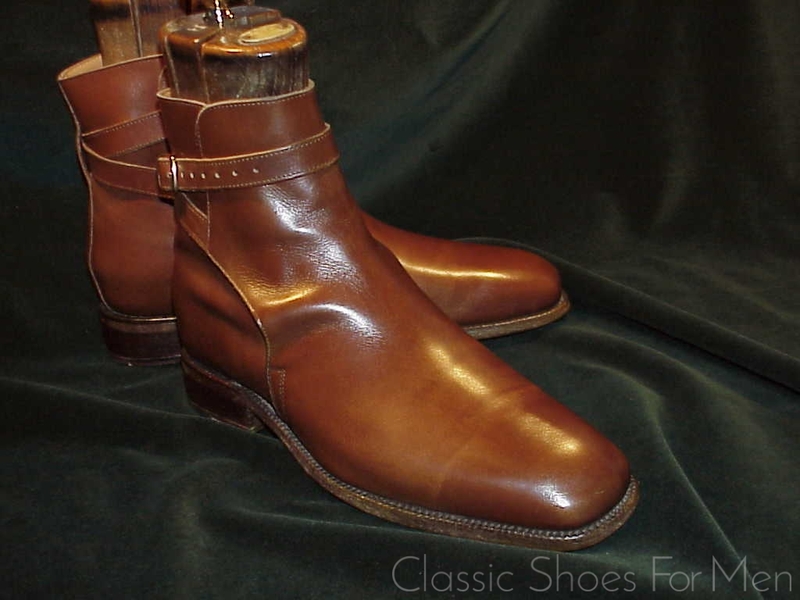 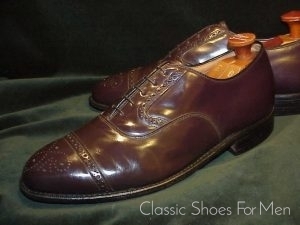 Une paire de superbes Bottes a Lanieres en cuir marron de la marque célèbre, Mack James. Goodyear welted. 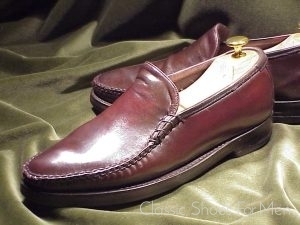 Très confortables, ces chaussures sont tout neuf. 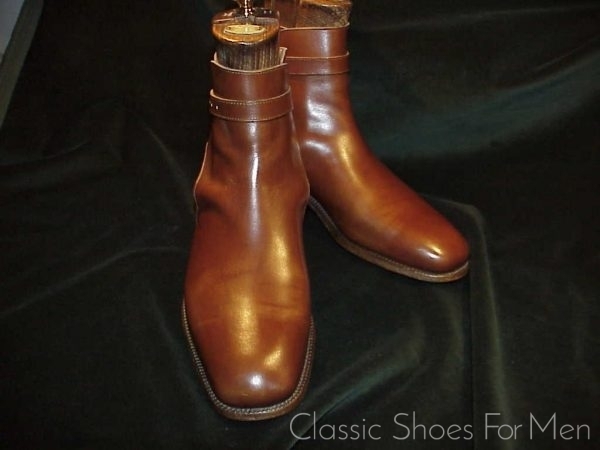 Frais de poste : 14.60 € en France; pour le reste d’Europe contacter moi, s.v.p.